First Resources’s (FR) 9M18 core net profit was below due to lower-than-expected CPO prices. We cut our FY18- 20F EPS by 7- 12% to reflect lower CPO price assumptions. First Resources remains our top Singapore palm oil pick for upstream exposure due to its young estates (average age of 11 years) and attractive EV/ha (US$10.9k). 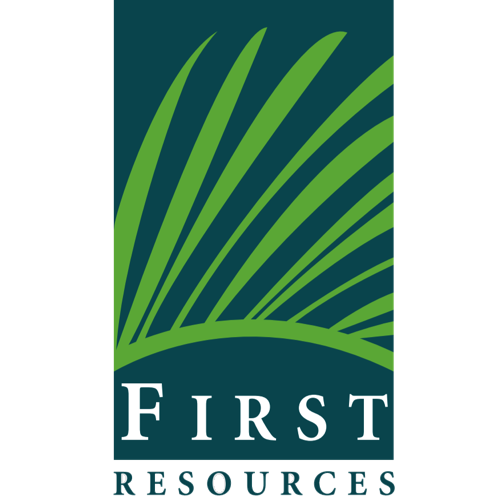 First Resources maintains its FFB output growth guidance of 15% for FY18. We gathered that it is not as badly impacted by logistic issues in parts of Indonesia compared to some estate owners in Kalimantan. We project weaker 4Q earnings vs. 3Q due to lower CPO prices and output. First Resources’s (FR) 9M18 core net profit fell 7% y-o-y to US$93m due to lower selling prices for palm products. We consider the 9M18 results, which made up 66%/67% of our/consensus’s full-year forecasts, to be below expectations due mainly to weaker-than-forecast CPO prices. Reported 9M18 net profit of US$103m was higher than core net profit due to forex gains of US$10.1m. First Resources’ 3Q18 core net profit (excluding forex gains) grew 12% q-o-q to US$36m as higher plantation earnings offset weaker downstream profit. Plantation EBITDA grew 20% q-o-q as higher CPO sales volumes (+26% q-o-q) more than offset the lower ASPs for CPO and PK. Its refinery and processing EBITDA fell 32% q-o-q due to lower EBITDA profit/tonne for downstream products (-36% q-o-q to US$16). Plantation EBITDA, which contributed 97% of the group’s total EBITDA, grew 1% y-o-y in 9M18 as higher sales volumes trumped lower ASPs for palm products. ASP achieved for CPO and PK fell by 9% and 16% y-o-y to US$556 per tonne and US$413 per tonne in 9M18, respectively, in line with the lower prices in international markets. FFB production from its nucleus estates rose 19%/20% y-o-y in 3Q18/9M18, representing a new record high output for First Resources, due to a rise in mature areas and higher FFB yield. The group’s mature area (nucleus) grew by 14.3k ha (+9.6%) from 31 Dec 2017 to 161,668 ha as at 30 Sep 2018. The group revealed that palm oil prices were weak in 8Q88 and are expected to remain volatile due to US-China trade tensions and changes to import and export tax structures in consuming and producing countries. It also expects biodiesel demand to remain supported by Indonesia’s biodiesel policy and the favourable spread between gasoil and palm oil prices. it has sold forward some of its CPO output but is unable to disclose the quantity and pricing. Some plantation companies have indicated that they are not able to transport CPO from their estates to refineries due to a shortage of barges, as some of these barges have been diverted to transport biodiesel following stricter mandates. This has led to higher than usual palm oil inventory at some estates in Kalimantan. First Resources revealed that it is not impacted by this issue as the group derived 88% of its output from Riau, 88% from East Kalimantan and 8% from East Kalimantan in 8M88. First Resources also revealed that though it had a net inventory build-up of 88,888 tonnes in 8M88, it was due mainly to timing issues. First Resources maintained its guidance of a 88% increase in FFB output from its nucleus estates for FY88. This is in line with our assumption of a 88.8% increase in output and if met, suggests that the group’s 8Q88 output will be around 888.8k tonnes (-8.8% q-o-q and +8% y-o-y). First Resources maintained its guidance for cash cost of production for nucleus CPO (ex-mill) at US$888 per tonne in 8888 and indicated that it has front-loaded around 88-88% of its fertilizer costs in 8M88. It has locked in CPO prices for some of its 8Q production but did not provide details. It has also locked in fertilizer requirements for 8H88 at higher prices than in 8888 (single-digit % increase). The rising interest rates in Indonesia will not impact First Resources’ borrowing costs as the group’s borrowings are mostly in US$. First Resources’ US$ loans are predominantly on fixed interest rates with average borrowing costs of 8-8%. As for the weaker Rupiah, it will lower some of its operating costs (labour) which are denominated in Rupiah, in US$ terms. We cut our FY88-88F earnings forecasts to reflect lower-than-expected CPO prices. We project lower 8Q core net profit vs. 8Q88 due to lower production and ASPs. However, we raise our Target Price slightly to S$8.88 after rolling it over to end-8888 (based on historical average P/E of 88x). We continue to rate First Resources an ADD for its attractive valuations (FY88F P/E of 88.8x and EV/ha of US$88.8k). Potential re-rating catalysts/downside risks are lower production and CPO prices.